Water is a vital resource, indispensable to life, essential for overall economic and social development of a country. 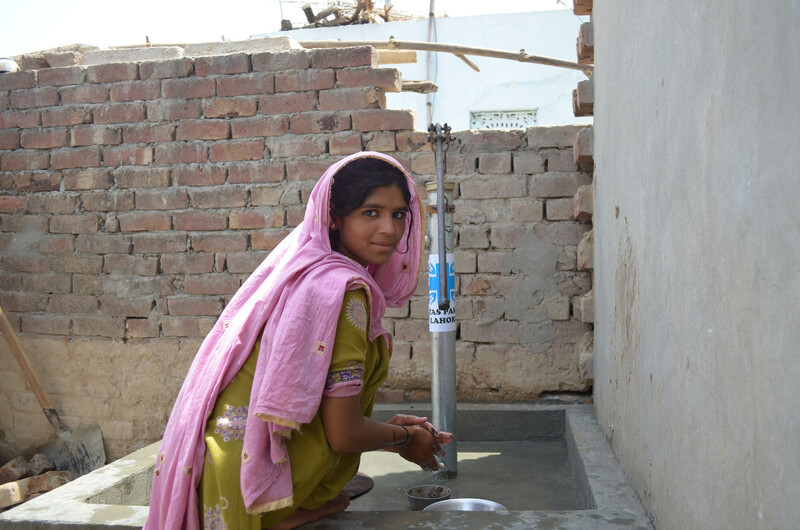 Access to safe water is considered an inalienable right for its people, thus making its provision a top priority of the Government of Pakistan. Water is an essential element for our survival. However rapid population growth, urbanization and unsustainable water consumption practices have placed immense stress on the quality as well as the quantity of water resources in the country. Caritas Pakistan is committed to support the people affected by the floods in Pakistan and urge the international community to support early recovery and follow through on the response. Much work has to be done when people return to their flood struck abodes. Women and children are most vulnerable to post disaster affects and the prevalent patriarchal culture simply adds to it. Work load of women , who are already multitasked in running house affairs, greatly increase when they have to fetch the water from far flung areas. Whereas absences of toilet pose major challenge to women in maintaining their privacy and they prefer to go at night. WASH initiative committees formed among the implemented villages. Each WIC comprise of 50 members (male and female). These members are common village leaders, village political leaders, lady health visitors and religious leaders. These members are familiar with the basic water sanitation and hygiene needs of the village people. These groups will help in implementing project activities, follow up, identifying the most vulnerable beneficiaries, installation of hand pump and washroom construction. These groups sustain even after the project implementation to address the specific needs of the common people. With regard to clean drinking water General health, menstrual health hygiene and sanitation related practices pamphlets and brochures will be distributed in the community because in this way maximum number of people will get knowledge about healthy practices. IEC materials are designed by the involvement of local people addressing their real needs of the areas. People keep this literature with them for it further instruction and guidelines. Awareness sessions are conducted at school and community level for the development of knowledge and attitudes in the selected district. At the start of the project Implementation 1st phase of the sessions will be conducted to sensitize community and students regarding their needs. 2nd phase of sessions will be conducted in the middle while 3 phase session will start in the end of the project to access whether the project implementation fulfilled the area needs and people change their behavior through strong mobilization. People including men, women and youth attend session organized a community level and schools level. People learnt and get aware about the importance of health and hygiene. Safe drinking water family club will be formed in all the targeted communities and people will share their experiences, challenges and constraints alongside achievements. clubs formed in each community separately for men and women. Members of the club meet once in a month and discuss about the quality of water, water borne disease and ways they learnt during community sessions regarding purifying water and making it safe for drinking. Safe drinking water family clubs formed consisting of 70 members each to highlight the problems of their respective villages and prioritize the solutions as well after brain storming. Panel Discussions with community leaders and influential members on Health and Hygiene promotion will be organized to address the WASH needs of the community. In panel discussions Lady Health visitors or male/ female doctors will facilitate these sessions separately for men and women. Women and men discuss their health problem and issues openly without any hesitation. Members of WASH initiative committees also participate in the sessions and further impart this knowledge to other people of the village. Printed IEC material is also discussed in these discussions for the better understanding to improve health and hygiene. 80 people participate in these discussions; most of the people get solution of their problems at spot while people with serious disease will be referred further to Government hospital and basic health units of the area. Solar water disinfection system taught to the community members during sessions before distribution of SODIS material to make people understand about the accurate use of solar water purifying technique. This method for the purification of water is preferred, because it is a cheapest source of water purification. Iron Tables and sets of 12 PET bottles distributed among the families of each village .These people will further train other families of their communities to create network of purified water user. Single handle hand pumps will be installed in villages followed by the water test before and after installation of the hand pump. Some of these hand pumps provided to those families who don’t have access to clean drinking water and some installed on communal. Needy families and the place for the communal hand pump installation is identified with the WASH initiative committee to address the safe drinking water need of the people. In this way people have easy access to clean drinking water and water availability for other household usage. Simple and low cost latrines will be constructed in each village. These latrines will only be constructed for those families who don’t have proper hygiene and sanitation system and are most vulnerable and will be selected with the help of WIC members. This will automatically improve people’s behaviors towards hygiene and sanitation.